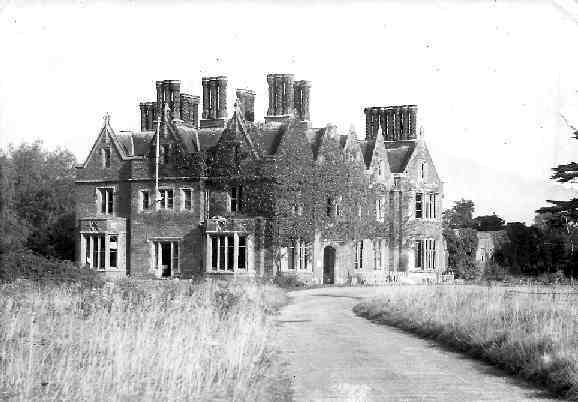 The Hall had been in existence for several hundred years in some form or other until the 1960's when it was demolished. Berkshire Record Office has a Manor and Estate Map from 1810 when the Hall was owned by George Dawson, and the Local History Society has transcribed the 'terrier' (list of land holdings). Mary Mitford, in her book 'Our Village', called the Hall 'Aberleigh', and hence Reading University gave this name to the 1960's house that replaced it. Families who have owned it include: Bullock, Standen, Dawson, Conroy, Hargreaves, Allsebrook. The land was also owned by the National Institute for Research in Dairying (NIRD), but this organisation is now re-absorbed into Reading University, who still carry out agricultural research there. In the Conroy family's time, Hall Farm was already renowned for its innovative agricultural practices, so it makes an appropriate place for University research. There are several photos and other images of the Victorian building that was itself in Tudor style, and we have good written descriptions from the Auction Sale documents of 1855, 1919, 1924 and 1926. There are several photos of the estate in the Collier Collection; our Society has a copy of a full set for Arborfield which we feature at Exhibitions. The original glass plates are held at the Museum of English Rural Life (see link on the left). The Estate was well covered on the 1839 Tithe Apportionment Map. The article on the Water Mill has a detailed map of the Mill and surrounding buildings. Here's a postcard of the Hall as it was in the early 20th Century. Mrs H. Davis is tasting the joys of a real home, even though a borrowed one, after 10 years of married life. Although her husband was demobbed from the R.A.F. some time ago, he has had to live in separate "digs" from her and their two years old son, owing to the housing shortage. 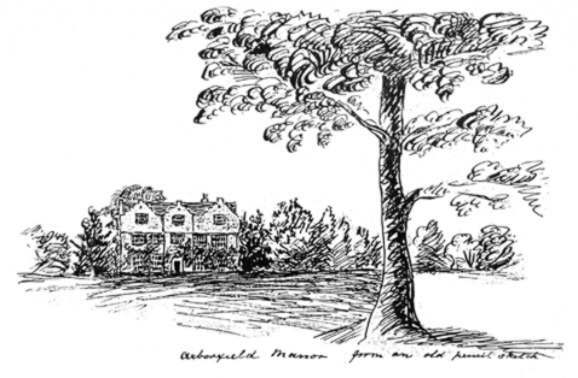 They have, therefore, followed the lead of the squatters and moved into the modern, comfortably equipped lodge in the grounds of Arborfield Hall. At the time our representative called, Mrs Davis was busily ironing in the cosy living room, with a bright coal fire burning in the open hearth. Her small son was making good use of the tiny garden to ride his tryke. 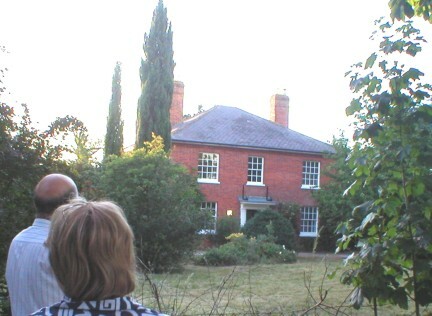 Prior to the Davis family's installation at the lodge, the building had been empty about nine months. Mrs Davis informed our reporter that she had received a visit from the Surveyor of the Wokingham District Council, who had promised to have the light and water facilities turned on should further squatters arrive. In the meantime, Mrs Davis is quite happy cooking by means of a primus stove and using oil lamps for lighting. Water has at present to be carted half a mile. At the entrance to Arborfield Hall, which has been used as an Army camp during the War, there is a large notice erected, warning the public to keep out, as the camp is needed for further use. For an article on the 'Squatter' movement and the use of Arborfield Hall Camp for temporary civilian housing, click here. 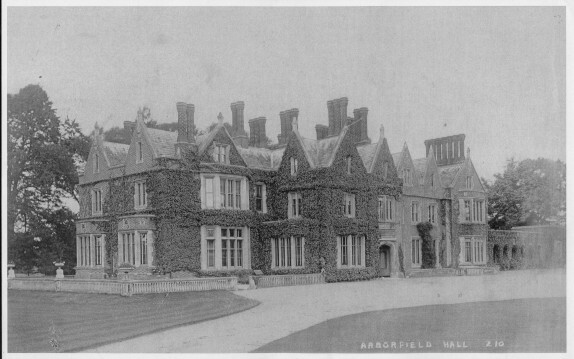 The building that replaced Arborfield Hall is known as 'Aberleigh'. 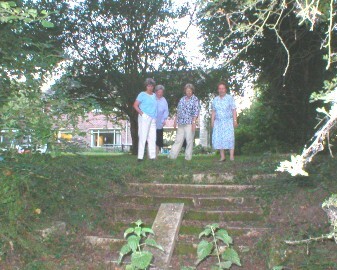 It takes up only a fraction of the floor-space of the Hall, but there is still some evidence of the original building around the garden, including steps down to the River Loddon. 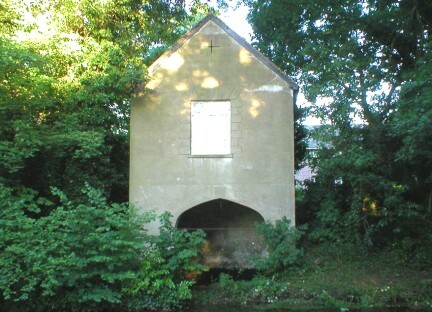 The old Rose Gardens and other features are long since gone, but the old Boat-House still remains. (Note: this is a private house, and the road that passes it is a private road). There is only pedestrian access from Church Lane, Carters Hill and Shinfield. When the Ordnance Survey were assembling Rights of Way, the University and the Parish Council fought over one path - see here. A hundred years before, some footpaths to the Old Church were eliminated because they were no longer needed once the new Church had been completed.